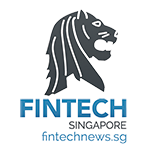 Singapore, a global transportation, commerce and financial hub, is a dynamic business events destination that hosts some of the world’s largest conventions and business events. Consistently, the city state has been ranked as one for the top meetings, incentives, conferences and exhibitions (MICE) destinations in the world. 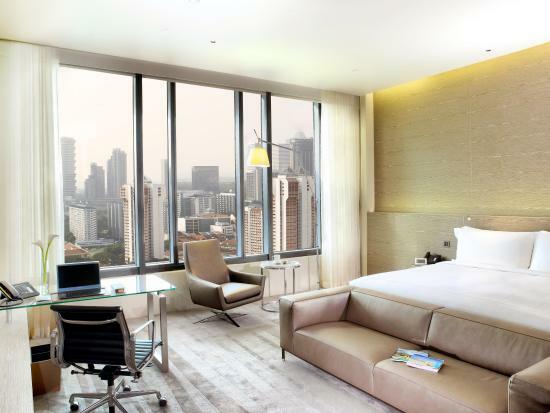 Studio M Hotel is located in the heart of Singapore, minutes from Robertson Walk and close to Chinatown Heritage Center. The hotel features 360 air-conditioned rooms with minibars, flat-screen televisions, complimentary wireless Internet access, and cable programming. Conveniences include safes and desks, and housekeeping is provided daily. Featured amenities include a computer station and dry cleaning/laundry services. Customers can also enjoy the outdoor swimming pool, the fitness center and the outdoor breakfast which is included. For about US$140, you get a studio with a mezzanine that’s perfect for work (ask for river view). M Hotel Singapore is part of the Millennium Hotels and Resorts group which also operates Studio M Hotel. 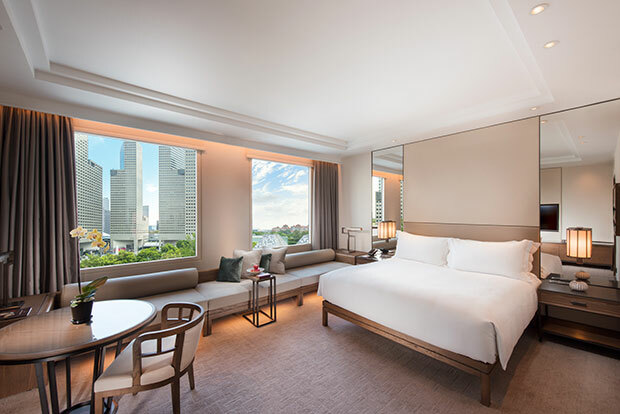 M Hotel Singapore is a centrally located hotel located in Singapore’s financial district, offering 415 rooms, suites and serviced apartments designed for both business and leisure travelers. Close by, you’ll find the Marina Bay Financial Centre, Sentosa, Clarke Quay, Chinatown and Orchard Road. The hotel is within walking distance of Tanjong Pagar MRT station, and from Lau Pa Sat food center. Each room are furnished with a full workstation and complimentary Wi-Fi. The hotel features a business center and 32 furnished office suites. 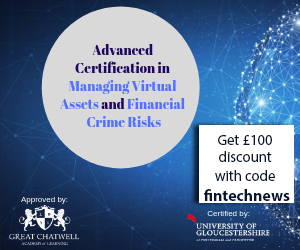 Additional amenities and facilities are offered, such as laptop safe boxes, newspapers, complimentary shuttle buses within the business districts and private parking privileges. Recreational facilities include an outdoor swimming pool, Jacuzzi and a 24-hour gym. The rooms start at US$200 per night. 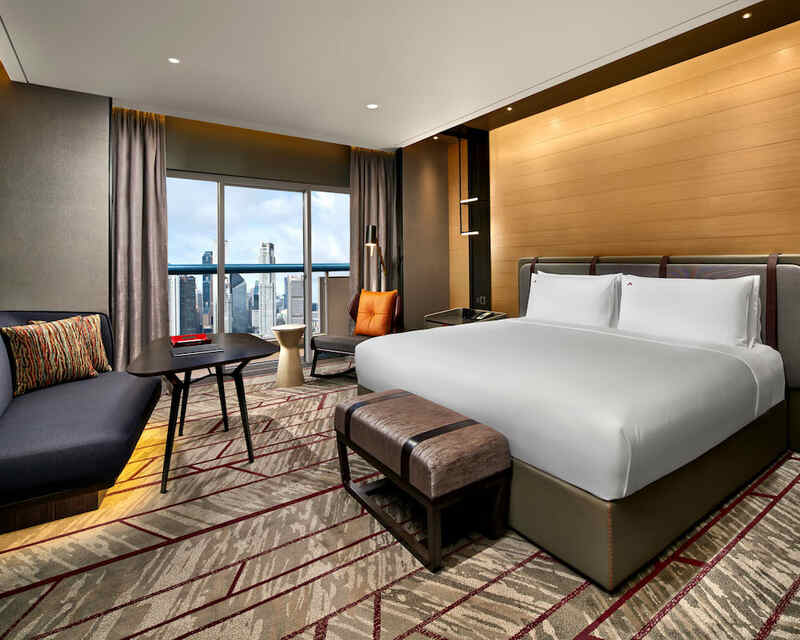 Pan Pacific Singapore is a five-star hotel overlooking the iconic Marina Bay that has been consistently voted the World’s Leading Business Hotel by World Travel Awards. It hosts several award-winning Singapore restaurants, as well as tennis courts and a swimming pool. The hotel’s strategic location at the gateway to the Central Business District provides easy access for business travelers, and at the same time offers a wide array of sightseeing, retail and entertainment options. It is located near the Marina Square Mall, Suntec City and Convention Centre, Marina Bay, Singapore Eye and Gardens in the Bay, all within easy walking or accessible by the Singapore’s MRT system. A Harbour View Club Room on the 33rd floor or above, will give you a good view of the marina and financial district skyline. The rooms start at about US$240. 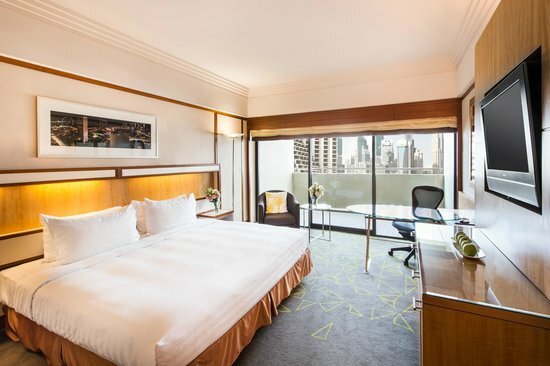 Carlton Hotel Singapore is strategically located along Bras Basah Road, just minutes away from the Singapore Central Business district, convention centers, historical landmarks, museums, shopping areas and the entertainment belt. The hotel offers 940 guestrooms which come with complimentary high-speed Wi-Fi, and complimentary use of smartphone with unlimited 3G, local and international calls to selected countries. 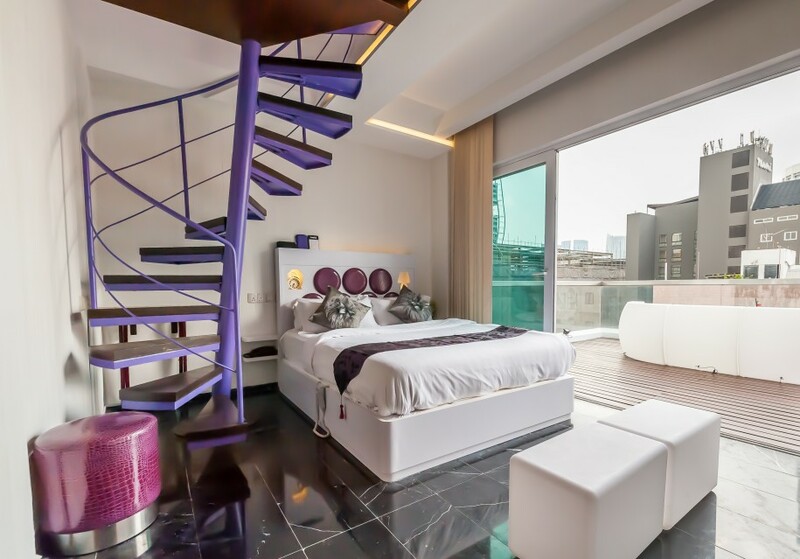 The rooms start at about US$225. 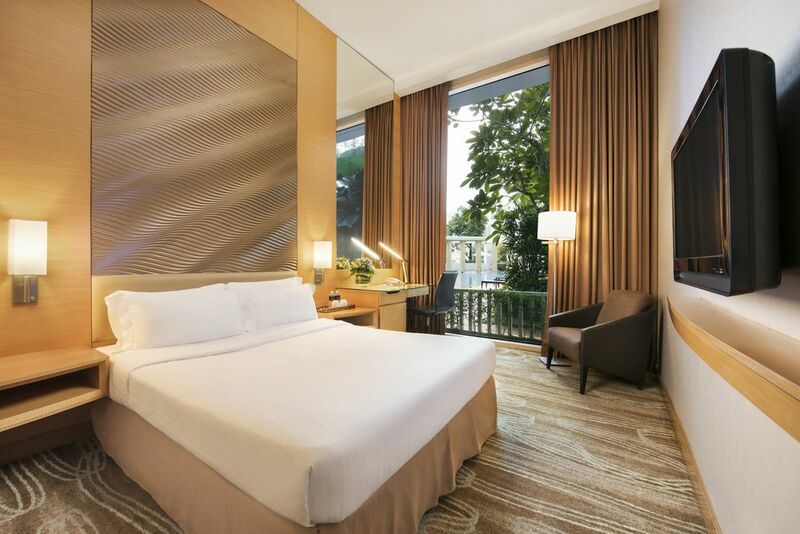 Conveniently located in the heart of Singapore, Swissotel The Stamford boasts a prime Singapore location amid the diversions of the Raffles City shopping complex and just 20 minutes away from Singapore Changi International Airport. It is located close to many tourists’ spots including the Raffles, Merlin Park, Suntec City and Convention Centre, Funan Digital Mall, Esplanade Park, Marina Bay, the Helix Bridge, Singapore National Library, Singapore Art Museum, National Gallery of Singapore, Asian Civilisations Museum, Padang. 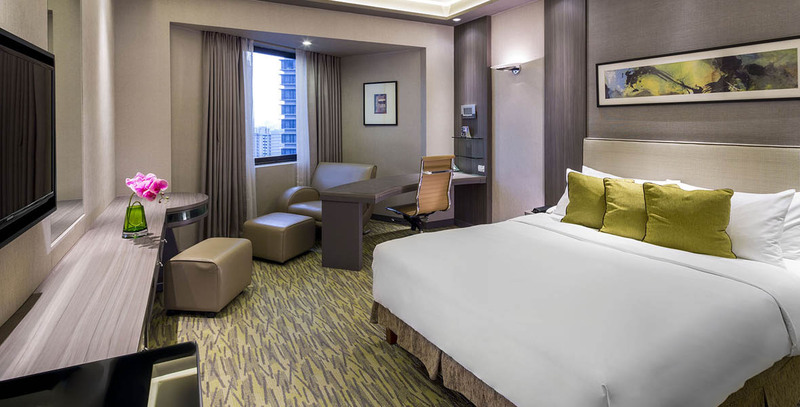 Swissotel The Stamfort is one of Southeast Asia’s tallest hotels, offering a range of 1,261 guestrooms and suites with a large of range of amenities and panoramic views of Singapore and Malaysia. The hotel houses the 70,000 sq. ft. Raffles City Convention Center which comprises 27 meeting venues with technologically advanced business facilities and services. The rooms start at US$240 per night. Conrad Centennial Singapore is located in Marina Bay within easy reach of Singapore’s downtown. 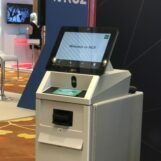 The hotel is adjacent to the Suntec Convention and Exhibition Centre, a short distance from the central business district. The hotel is a part of the Millenia Singapore development, which houses a lifestyle shopping mall with direct access to more than 1,000 shops and over 300 dining options around the area. Conrad Centennial features a dry cleaning service, a gym, and swimming pool, among other amenities. The rooms start at US$300 and come with a beautiful view of the Marina Bay Sands Hotel. One Farrer Hotel & Spa is a 5-star urban hotel-resort in Singapore situated in one of the city state’s heritage districts, with Farrer Park MRT station right at its doorstep, and an award-winning permanent collection of over 700 pieces of original contemporary abstract art from across Greater Asia. Spanning over 20 levels, residents can also explore 15 water and tropical gardens, including a fully operational farm. One Farrer Hotel & Spa offers 243 rooms within a ‘Hotels within a Hotel’ concept, comprising of three distinct hotels: Urban Hotel, Loft Apartments and Skyline Hotel & Sky Villas. In addition to many thoughtful amenities, complimentary mini bars and Wi-Fi are also offered. The hotel includes several restaurants and bars, an Olympic-sized swimming pool, two of the finest spa and fitness facilities in the city and region, and a conference center with a grand ballroom, three meeting rooms and an air conditioned Garden Pavilion to host social and corporate functions. 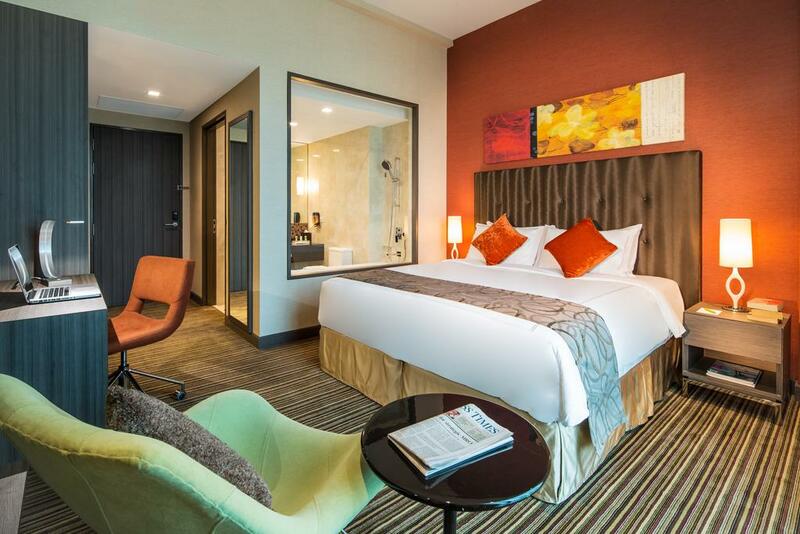 Rooms at One Farrer Hotel & Spa start at US$200. An icon along the Singapore River with its signature red roofs inspired by Singapore’s colonial past, Park Hotel Clarke Quay has a central, downtown location that is minutes from the Clarke Quay entertainment precinct and the central business district. The 4-star hotel includes a 25-meter outdoor pool and adjoining Jacuzzi, and a poolside bar. Park Hotel Clarke Quay offers complimentary daily loop shuttle service to Clarke Quay MRT, Raffle Place MRT, Suntec Convention Centre, Grand Park Orchard from 7:40 am till 8:20 pm. The rooms start at US$150. 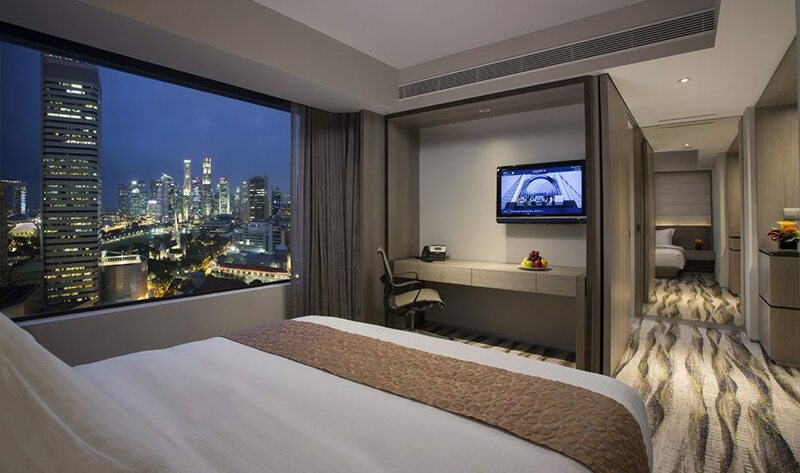 Hotel Kai is centrally located in the heart of Singapore’s historic Civic District. The hotel is housed in a beautifully restored conservation shophouse, re-birthed with a unique blend of history and modernity. 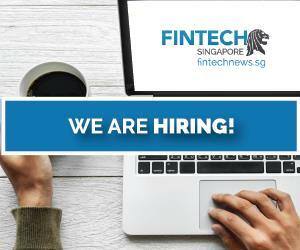 It is located at only about a 5-minute walk to the Suntec Convention Centre. The prices start at about US$140 for a regular room, so perfect for budget travelers. 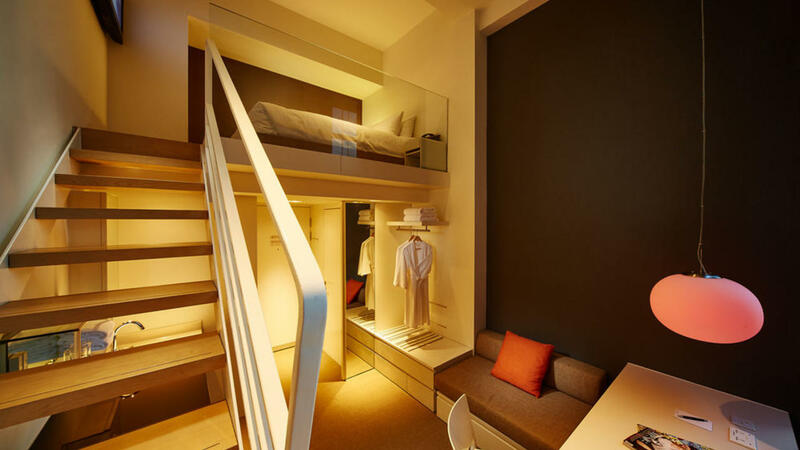 Business travelers can opt for the Urban Skyloft which comes with a balcony and can host up to four people. The loft starts at US$250. Park Avenue Changi, is located in the heart of Changi Business Park at UE Bizhub EAST, showcasing 251 business hotel rooms and serviced suites. The hotel houses a state-of-the-art gym and relaxation pool, and is strategically situated within an integrated development with office, retail and convention spaces. It is located at easy walking distance to the Expo and Convention Centre, also, the train located close takes you to the city one way and 1 stop to the airport the other. Prices start at US$150 for a room.